Podium Pusher or Neon Dispatcher? Scorpion EXO-R2000 Graphics! Trying to get a bright helmet for your sportbike, but tired of the countless Rossi graphics that come out year after year? 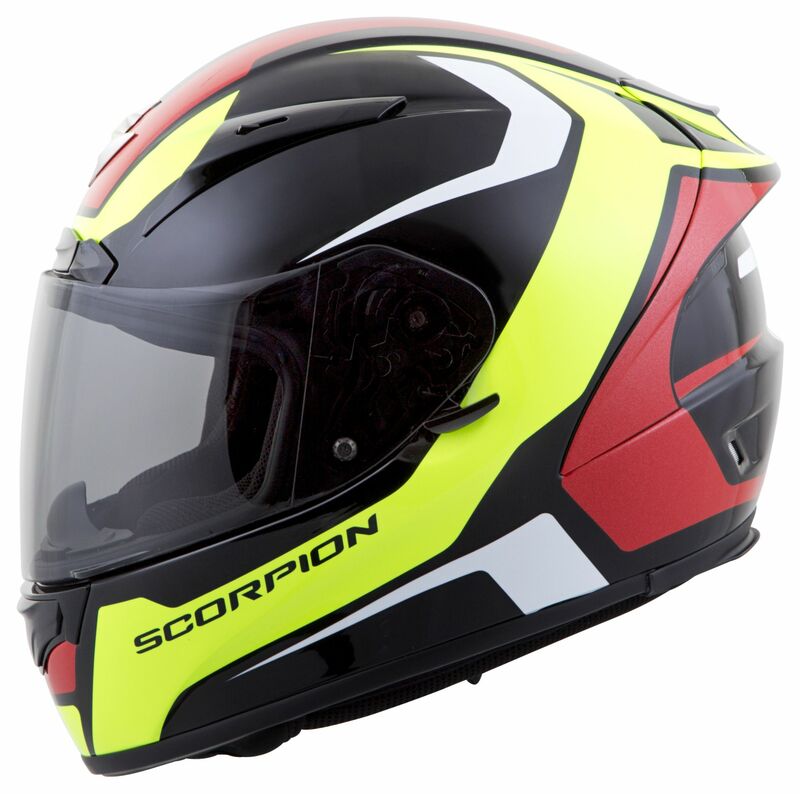 Scorpion has you covered this spring, with their Alvaro Bautista replica as well as the Dispatch Hi-Viz model. Feel like you are the underdog on a satellite bike, pushing for a spot on the podium? Are you constantly nipping at the heels of an aging nine-time Gran Prix World champion? Well maybe not, but it sure would be nice! 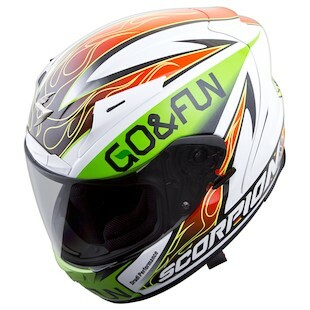 Seriously though, Scorpion has launched an EXO-R2000 Bautista replica helmet that is completely out of this world. Comprised of a white base with lime green and red-orange graphics, the Scorpion EXO-R2000 Bautista replica is using a unique color combination that has been untouched in today’s helmet offerings. Subtle flames overlaid in the red-orange graphics give the helmet a touch of personality and character. If race replicas are not your cup of tea, Scorpion’s Dispatch (Hi-Viz) gives you the option to have a killer graphic that stands out, without immediately comparing you to a MotoGP level racer. One word to describe the Scorpion EXO-R2000 Dispatch graphic would be technical. Sleek, clean, angular lines seem to flow with the aerodynamics on the helmet, making it look like it is moving even when at a standstill. The Hi-Viz yellow and bright red pop enough to give you the added safety in visibility, but will not look like someone dipped your helmet in neon highlighter ink. Both graphics are well suited for Scorpion’s top dog helmet and will definitely catch your eye with their stand out colors. At the end of the day it is about going fast and having fun, but why not look good while doing so?